Those who work as professional electricians will want to have the best portable handheld digital oscilloscopes, which help them install and troubleshoot electrical systems in a quick and efficient way. Even weekend warriors will find it beneficial to have these devices, particularly if they frequently do electrical-related DIY tasks. Two 72Mhz analog channels and two digital channels. AD9288-40 dual A/D converter analogue channels from 36MS/s to 72MS/s. Signal Generator,Auto Measurement,Various Triggering Option. Easy waveform storage,Firmware upgrade,User applications,Open source. This unit is designed based on ARM cortex M3 and has two digital channels and two 72 Mhz analog channels that have integrated FPGA and high speed ADC. It also comes with a signal generator, an auto measurement function, and a built-in 8M USB disk that promotes easy and efficient wavelength storage. The DSO203 comes with open-source user applications and has regular firmware updates. The HDS1021M combines a digital oscilloscope with a digital multimeter, creating a device that can view electrical signals and measure current, voltage, resistance, and capacitance. As a result, you can have two tools in one package, and you’ll get to enjoy added convenience (since you no longer have to lug around two separate devices) while getting great value for money. 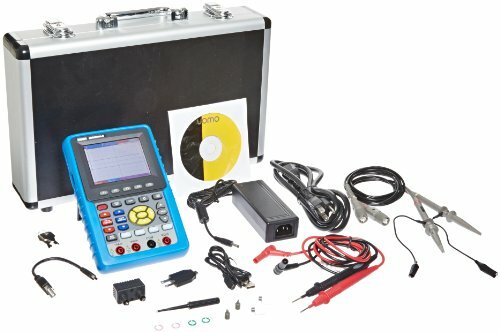 If you want to have an oscilloscope but don’t have a large budget, this unit is for you. It’s cheaper compared to other models, but it has all the features you need to tackle basic electrical tasks. It comes with a 1 MHz analog bandwidth, a 10 MHz maximum sample rate, and an 8K sample memory depth. The unit is only 11mm thick and weighs less than 10 ounces, so you can easily put it in your bag and bring it with you wherever you go. 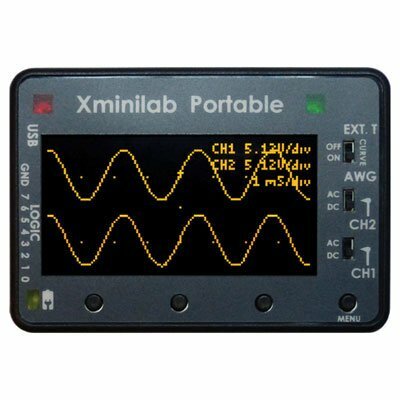 This unit is actually a pocket oscilloscope, a waveform generator and a protocol sniffer all in one compact package. It’s a mixed signal oscilloscope, so it can sample analog and digital signals at the same time. It comes with a curve tracer function, a wide range of display options (including persistence and various grid options), vertical and horizontal cursors, and a spectrum analyzer with windowing options. Even if it’s more expensive than other units, the 190-202/AM/S is worth every penny you spend. 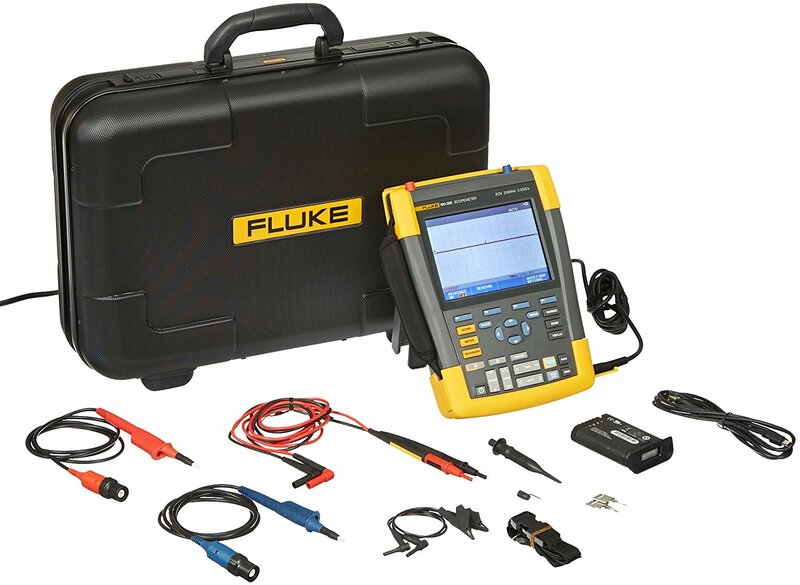 It’s a combination of a digital oscilloscope and a digital multimeter and comes with a zoom function, automatic and cursor measurements, and three math functions with FFT. It also has a 6-inch color LCD that lets you view up to four readings at the same time. The 190-202/AM/S is available in several bandwidth measurements (60 MHz, 100 MHz, 200 MHz, and 50 MHz), so you can choose the right model for you. 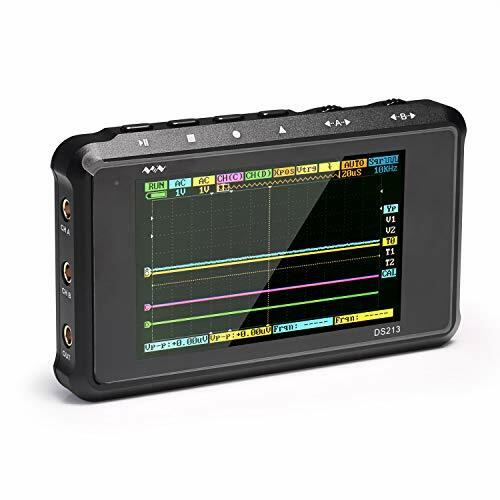 These are just some of the best portable handheld digital oscilloscopes you can find in the market. Learn more about these products to select the oscilloscope that best suits your needs and budget.